The Chicago Symphony Chorus takes centre stage in two gorgeous French works from the 20th-century on CSO Resound's newest release. 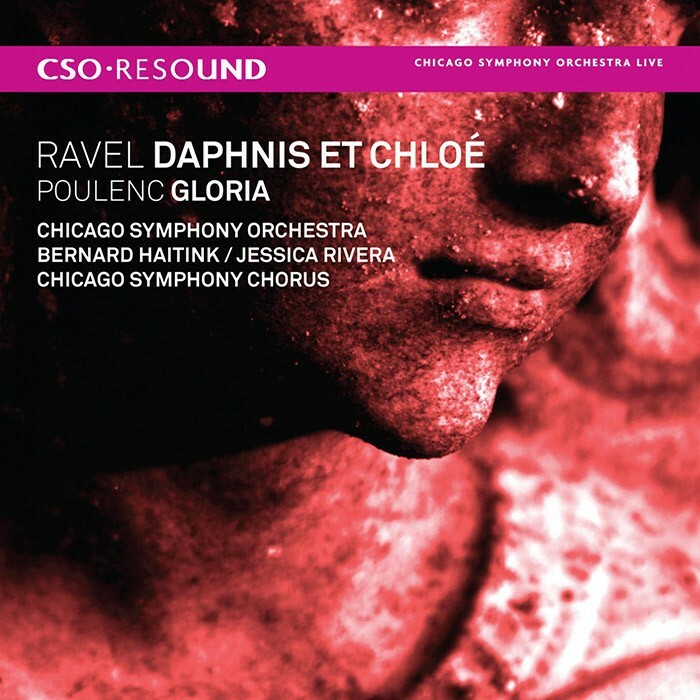 The 150-voice choir, under the direction of chorus director Duain Wolfe, sings Poulenc's effervescent update of the latin Gloria with astonishing sensitivity and is the orchestra's dynamic equal in Ravel's ballet showpiece. Rising American soprano Jessica Rivera, known internationally for her performances in operas by John Adams and Osvaldo Golijov, made her CSO debut in the concerts in which this album was recorded. CSO Principal Conductor Bernard Haitink lends his gravity to these flamboyant works, allowing us to hear their inner workings as freshly as their composers imagined in the first French CD on CSO Resound, and the first Haitink release that isn't a gigantic symphony.